Engines: Two Pielstick/Crossley Premier SEMT 16PC2V diesels. 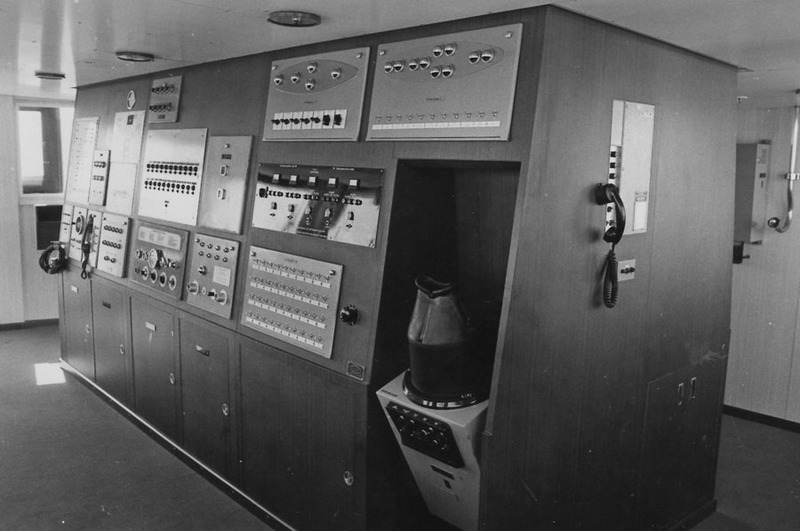 June 22nd 1971: Delivered to British Transport Ship Management (Scotland) Ltd, London and registered to Carpass (Shipping) Ltd., London, England. 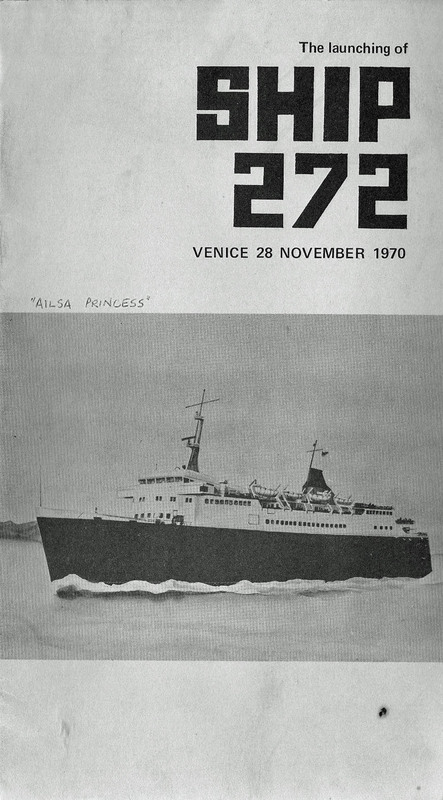 June 27th 1971: Arrived Venice. 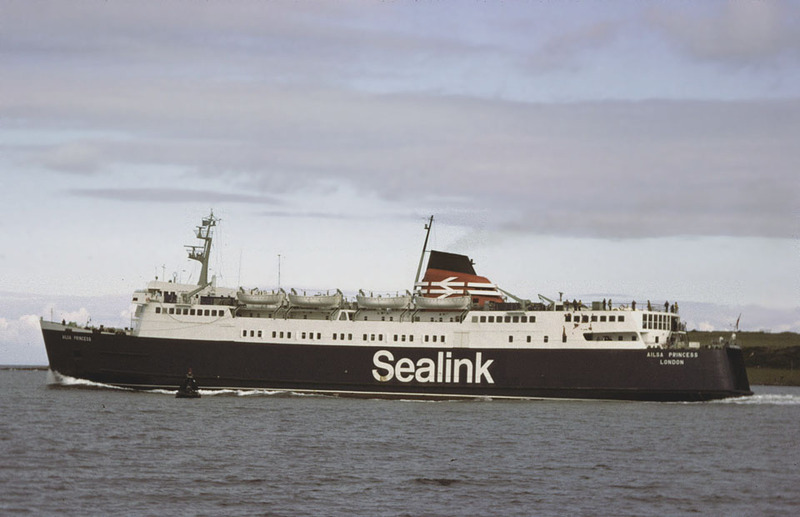 July 7th 1971: Introduced for Sealink between Stranraer – Larne. 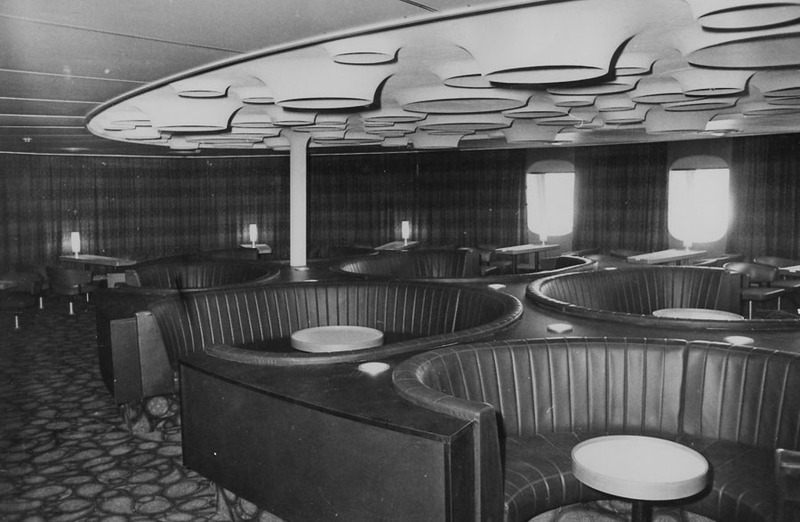 March 31st 1975 – April 26th 1975: Winter refit. 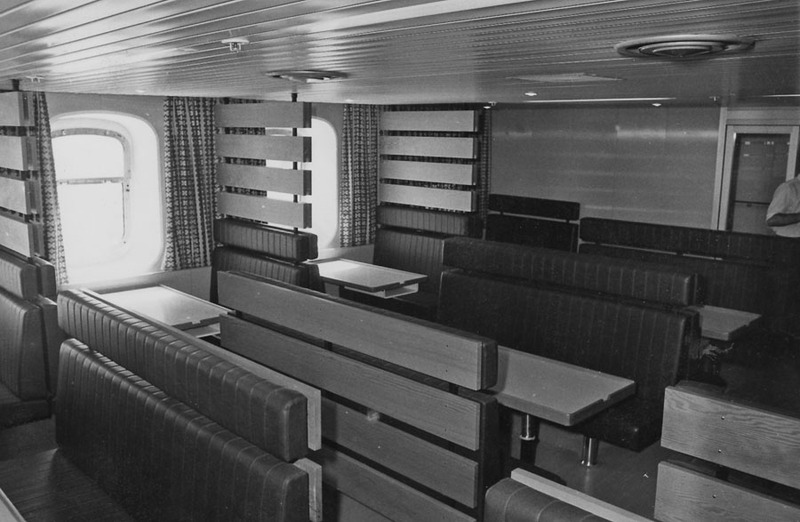 1975 (Spring): The after end of the upper deck was enclosed like the ANTRIM PRINCESS and deck space for passengers provided aft on the deck above, the bridge deck. 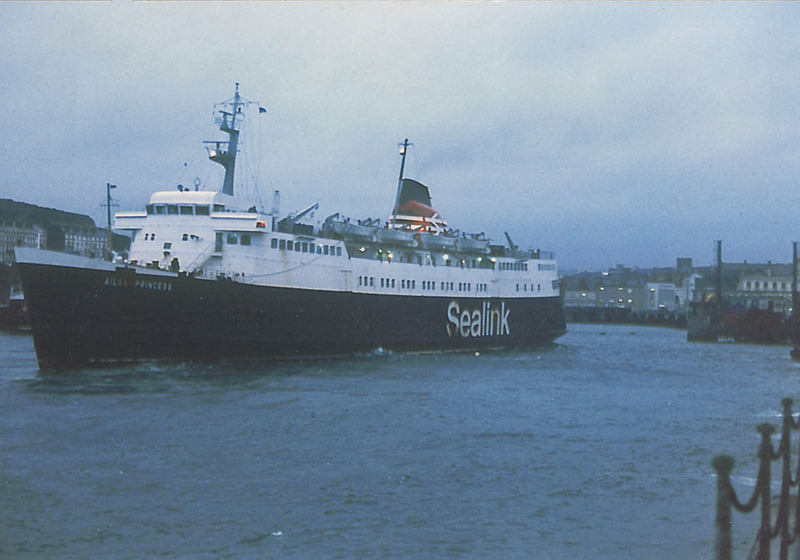 December 4th 1975: Operated for a short time between Ardrossan – Larne. 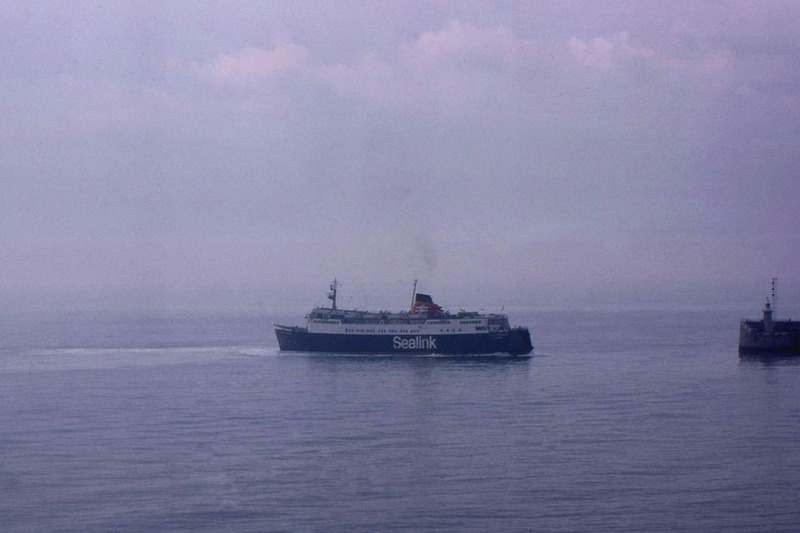 March 20th 1979: Arrived at Holyhead for dry-docking. 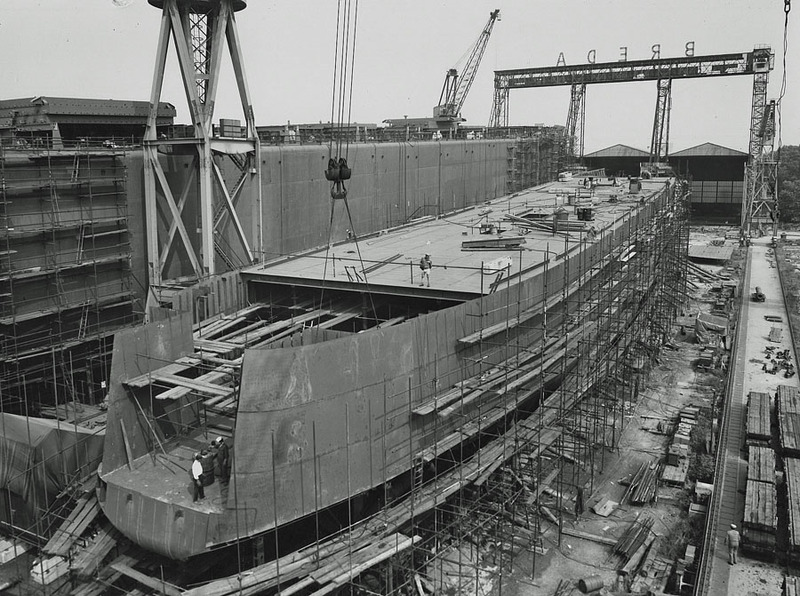 April 10th 1979: Left dry-dock and resumed service. 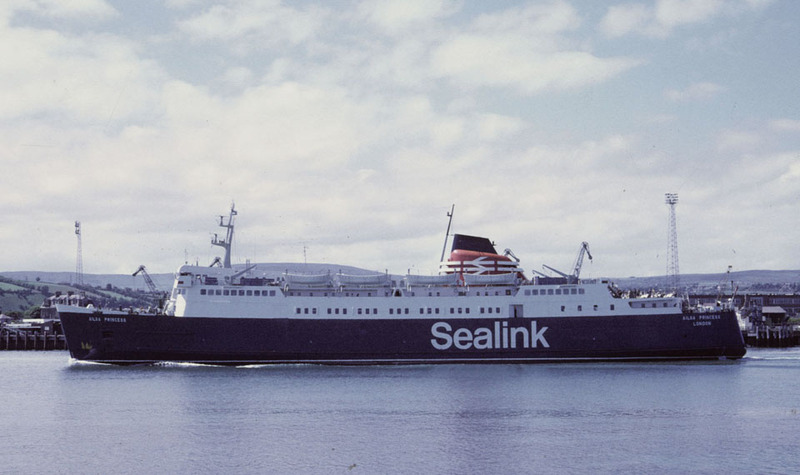 February 11th 1980: Arrived Holyhead for refit. 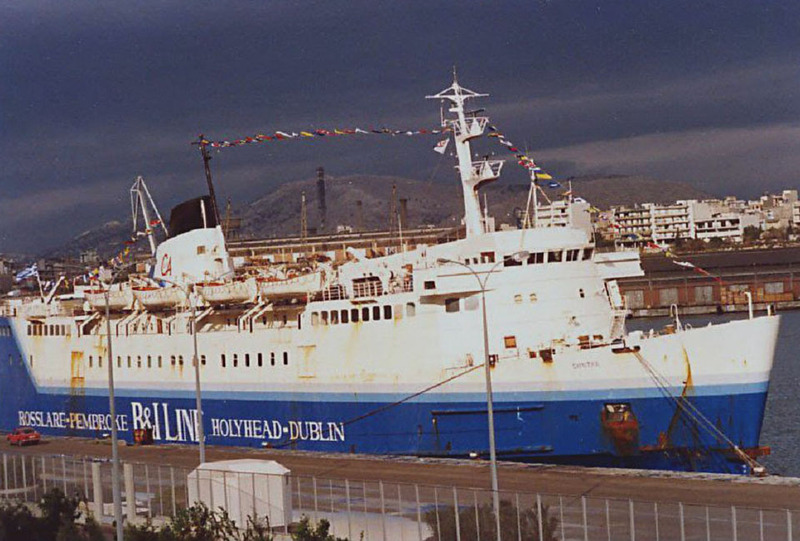 May 31st and June 2nd 1980: Operated between Holyhead – Dun Laoghaire. 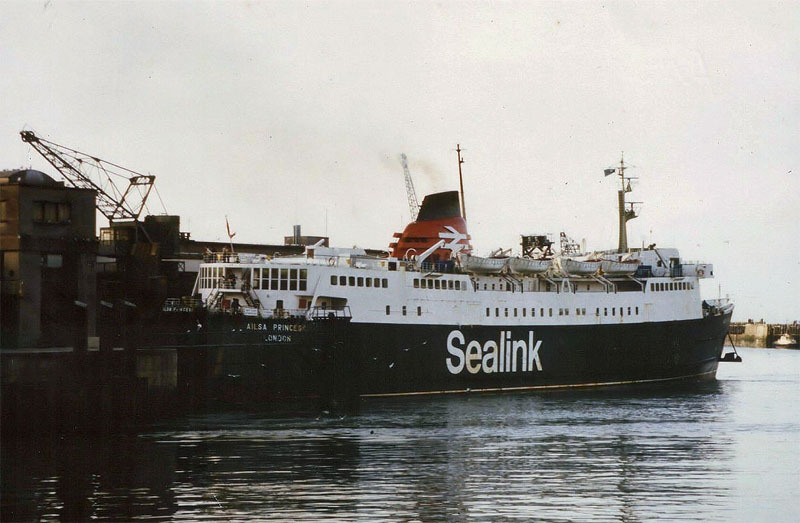 February 11th and March 11th 1982: Heysham – Douglas. 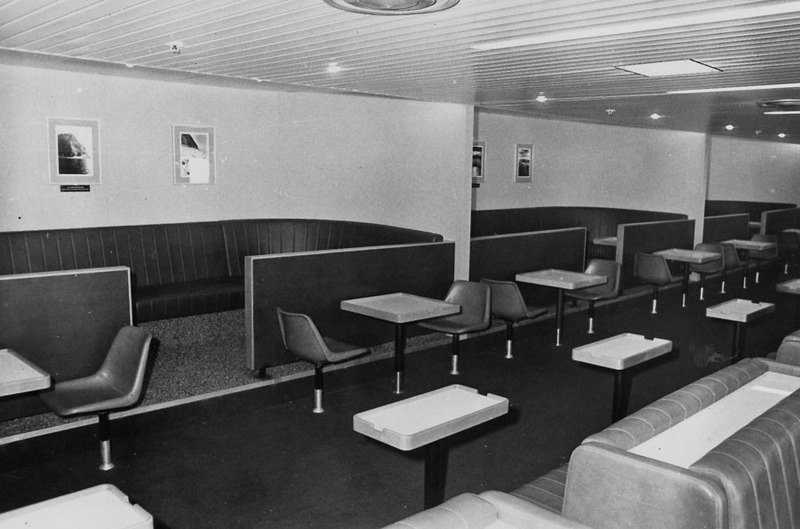 March 1982: Internal alterations, including extra lounge accommodation on the promenade deck and a duty free shop, also engines were converted to burn heavy grade fuel. 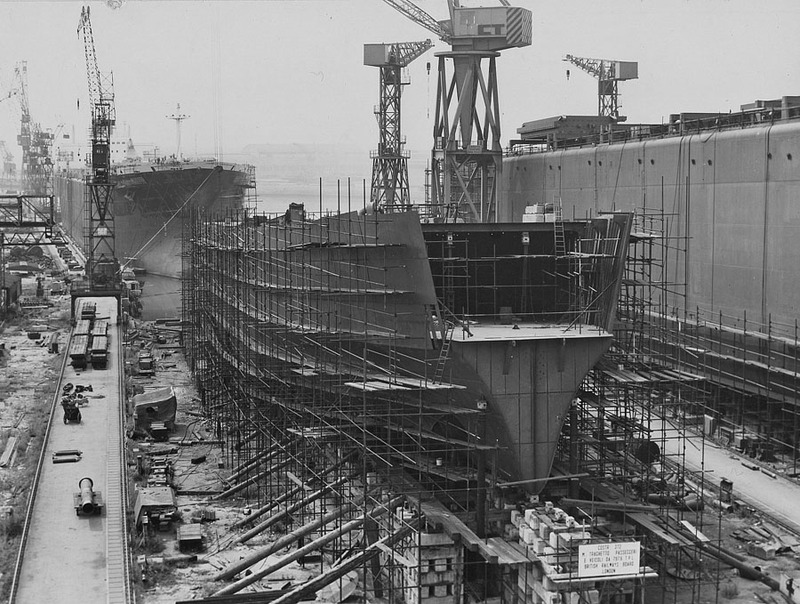 The work was carried out by Smith’s Dock & co at Middlesbrough an cost £280,000. One other small change was the painting out of the long extensions to the Rails emblem on her funnel. February 17th 1982: Taken over at Middlesbrough by a crew from Weymouth. 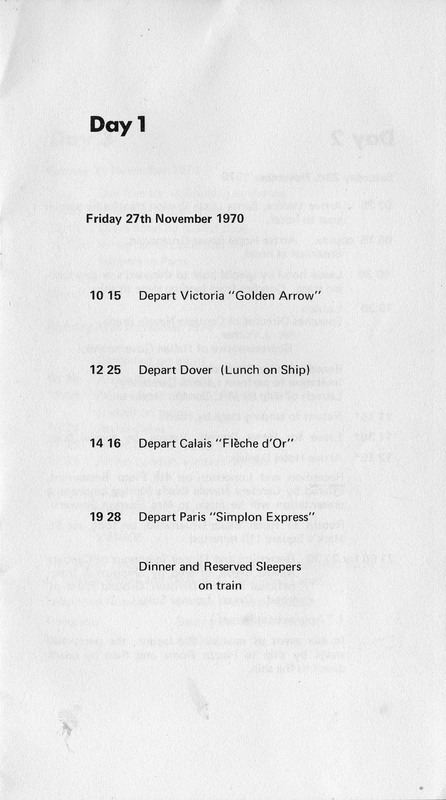 March 27th 1982: Arrived at Weymouth. 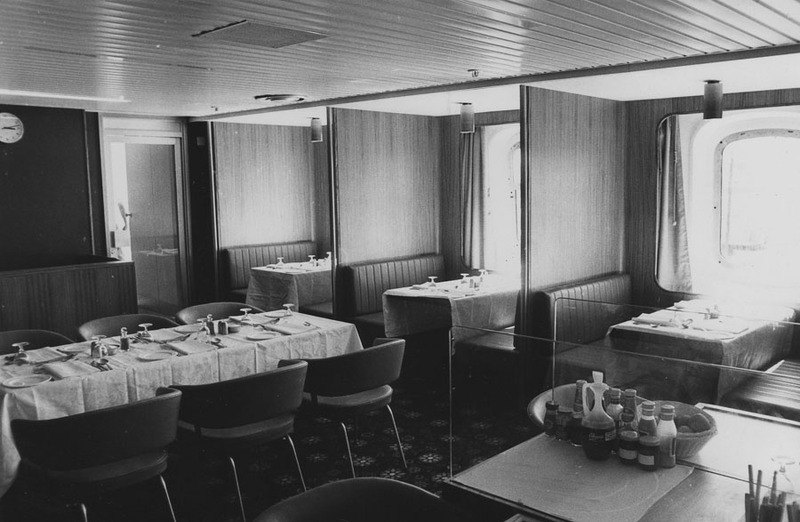 March 31st 1982: Trial trip to Cherbourg. 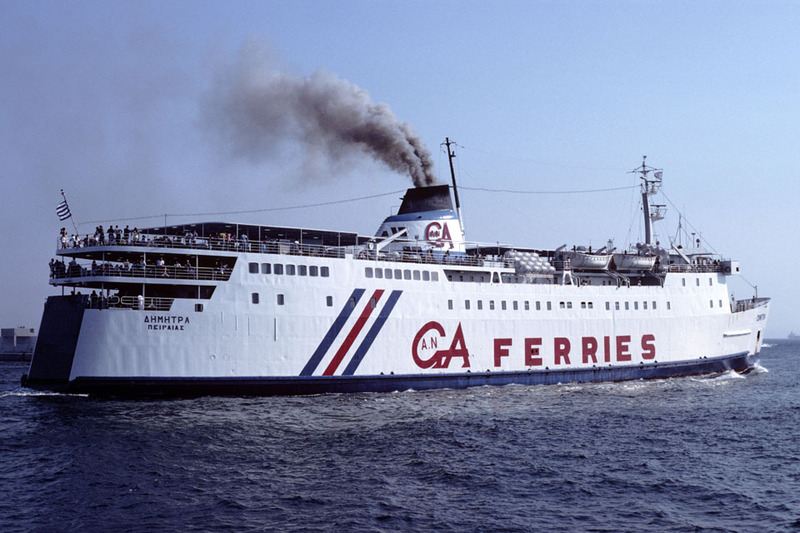 April 2nd 1982 – October 1982: Following modifications operated Weymouth – Cherbourg. 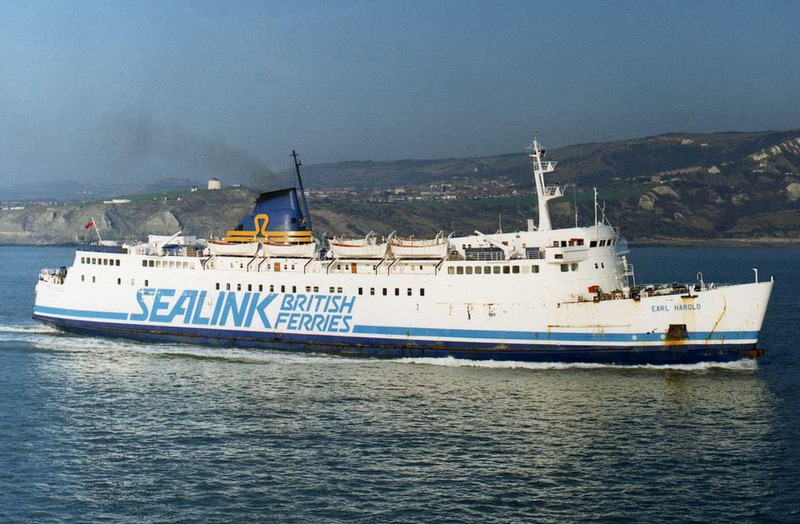 October 2nd 1982 until October 19th 1982: Operated between Folkestone – Boulogne covering refits to HENGIST and HORSA. 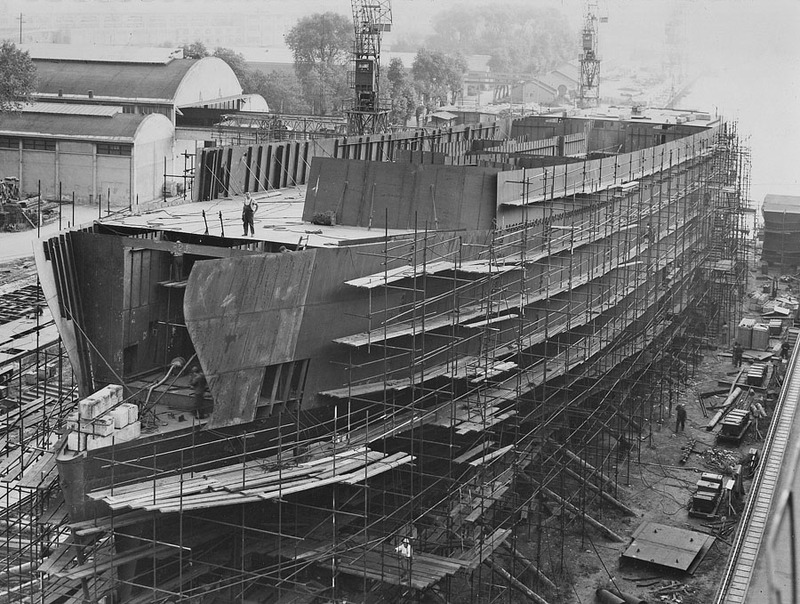 During this period she was unable to use her bow door. 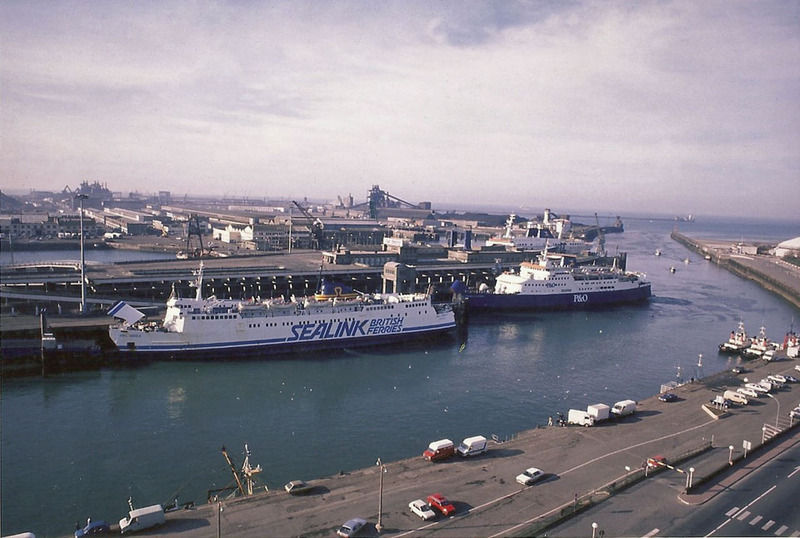 October 21st – November 10th 1982: Moved to Holyhead – Dun Laoghaire, also as cover. 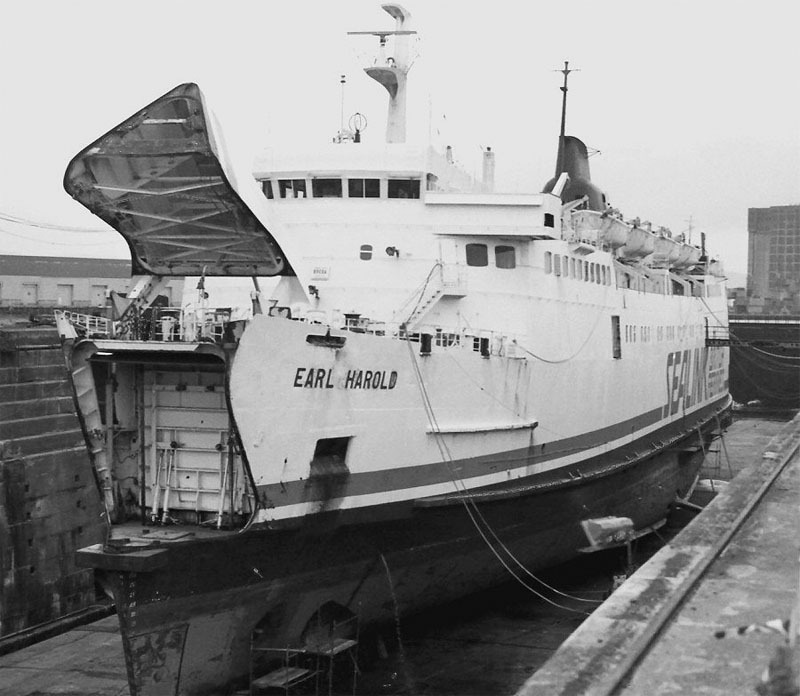 November 16th 1982 – November 26th 1982: Chartered to The Ministry of Defence, rebuilt at Cammell Laird, Birkenhead, to test feasibility of using ferries as minelayers! 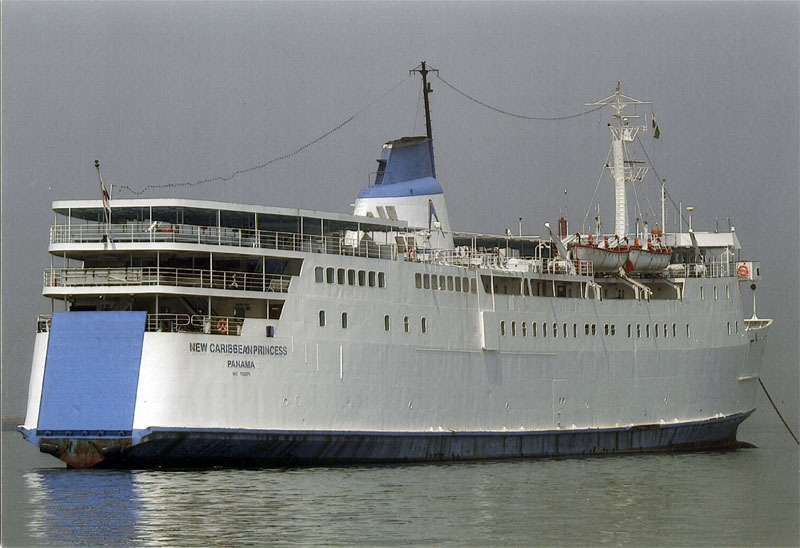 January 1983: Reverted to her ferry role and covered between Folkestone – Boulogne, then returning to Weymouth – Cherbourg. 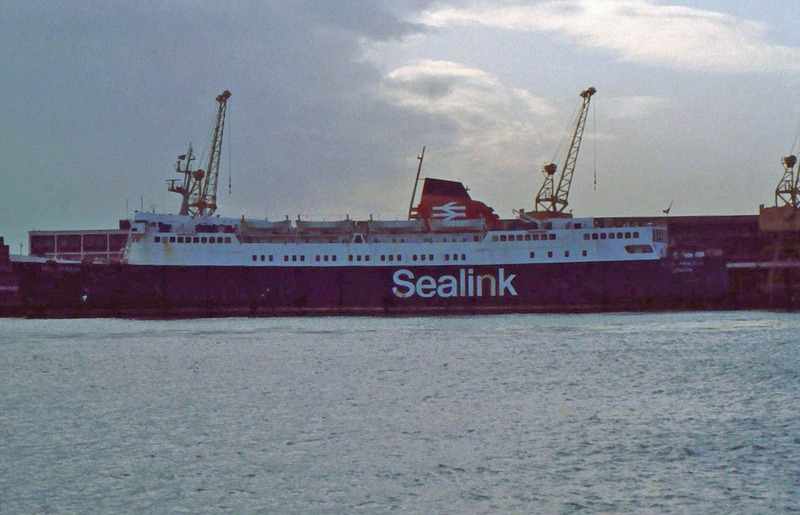 January 2nd 1984 – February 23rd 1984: She was back at Folkestone, when she relieved HENGIST. 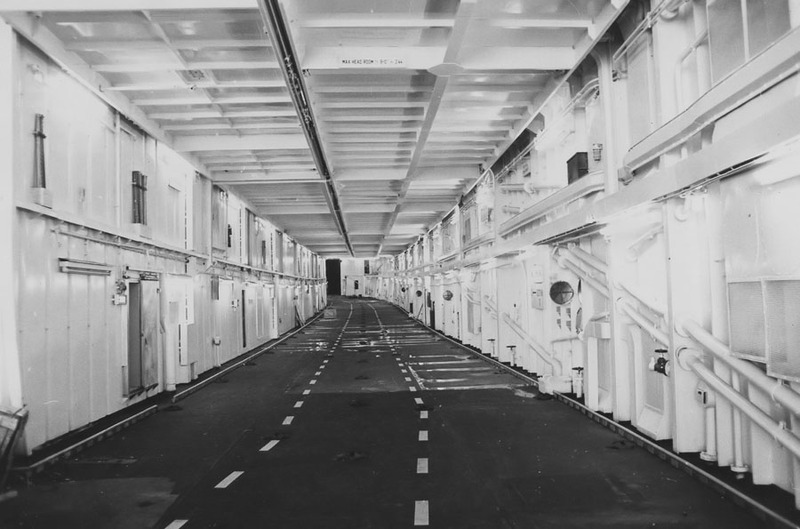 October 8th 1984: Berthing trials at St Helier. Then converted for her new “Sunliner” role. 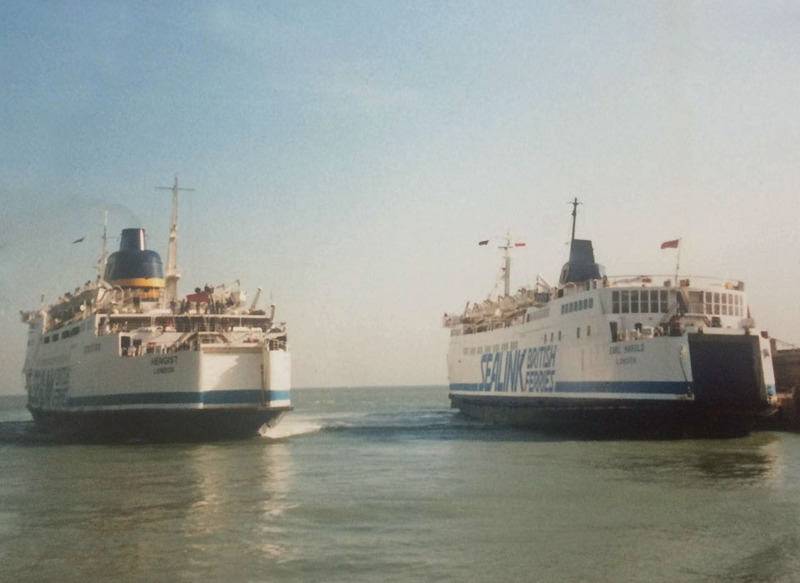 April 23rd 1985: Weymouth -Jersey/Guernsey service. 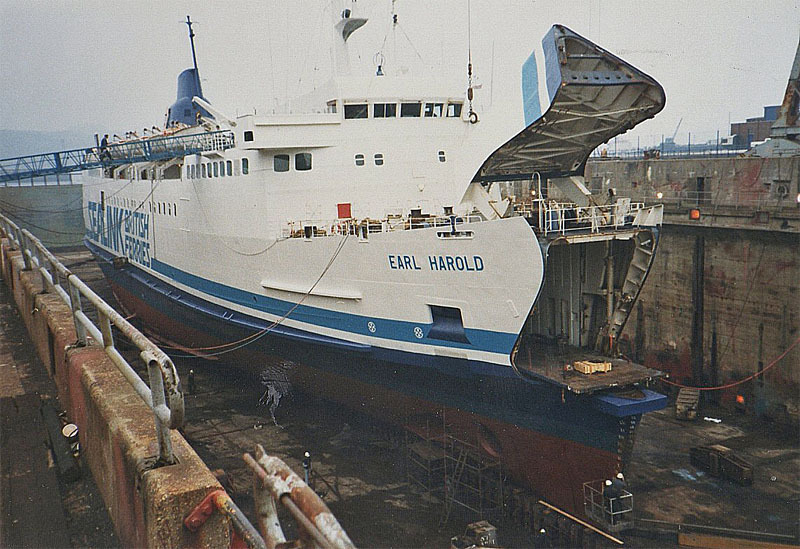 May 24th 1985: Renamed EARL HAROLD. 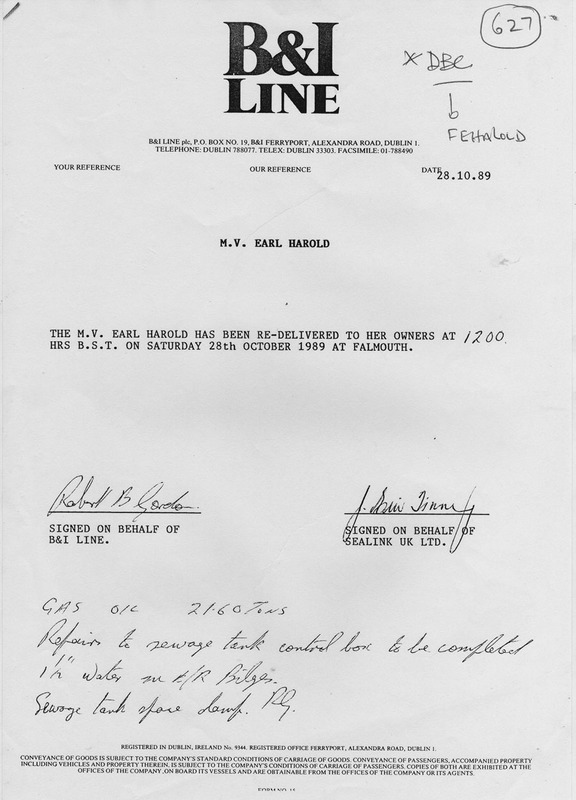 June 26th 1985: Bomb hoax disrupted sailings, covered for EARL GODWIN, the victim of the hoax. 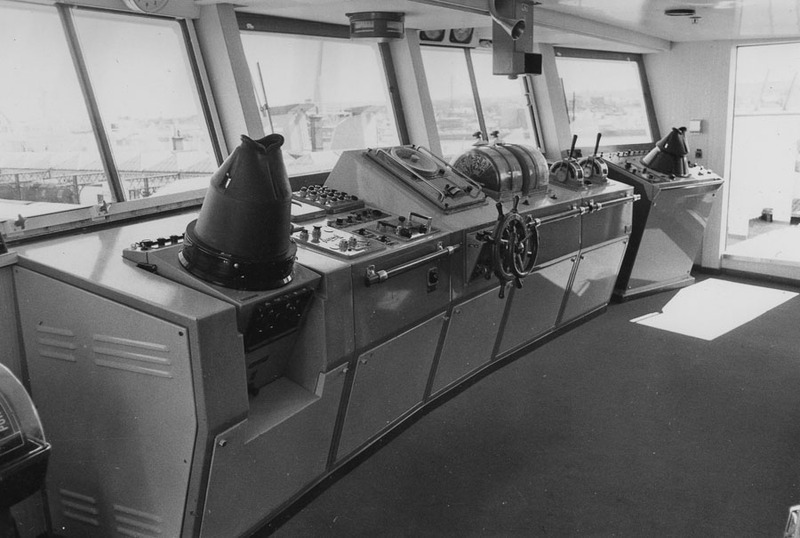 1985: Back in the English Channel covering for HENGIST and HORSA whilst they were away for refits. She then returned to Weymouth. 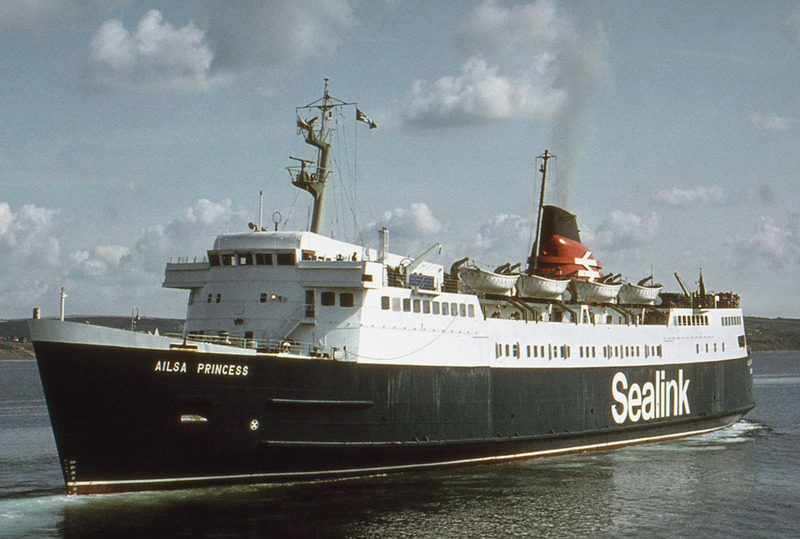 September 28th 1985: Finished service at Weymouth and planned transfer to Stranraer to release ANTRIM PRINCESS to go on charter to the Isle of Man Steam Packet Company. 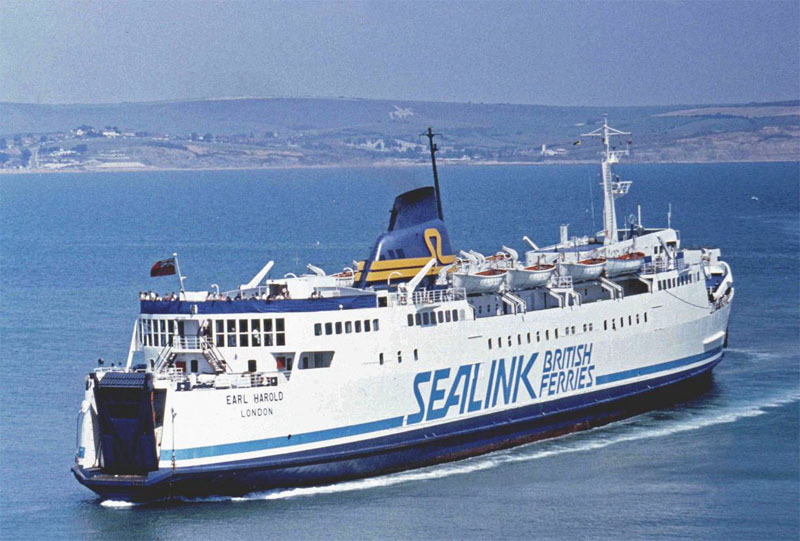 Not transferred and continued to maintain Weymouth – Channel Islands. 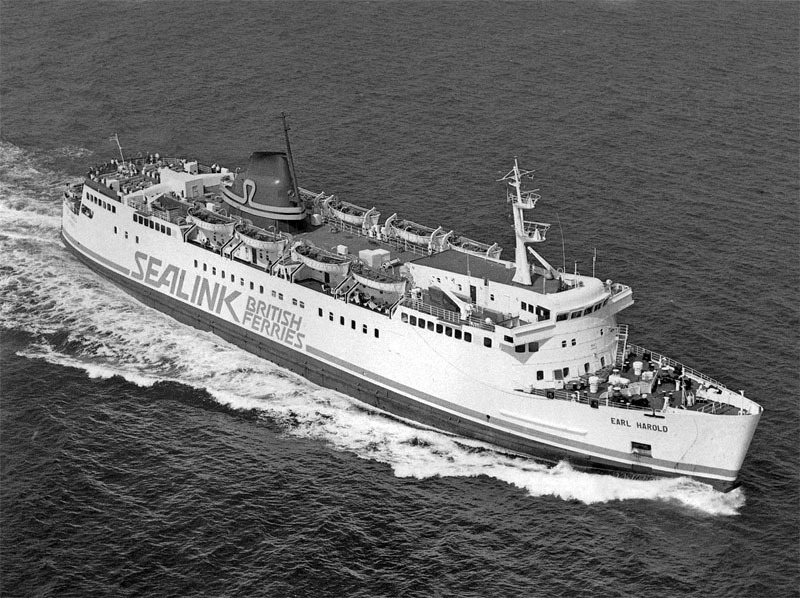 October 1986: Strike-bound in Portsmouth over planned merger with Channel Island Ferries. 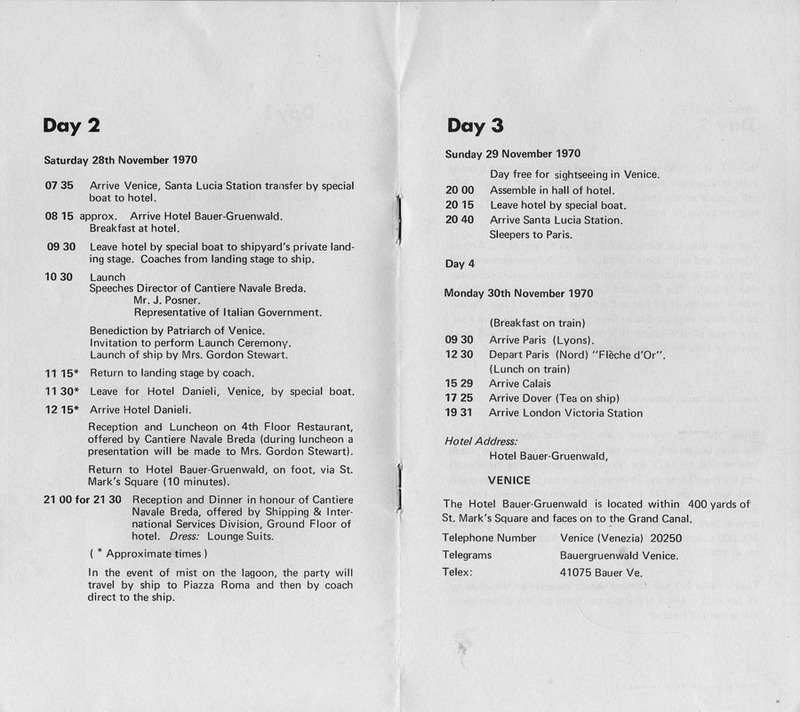 Then moved to Weymouth where strike (lasting ten days) continued. 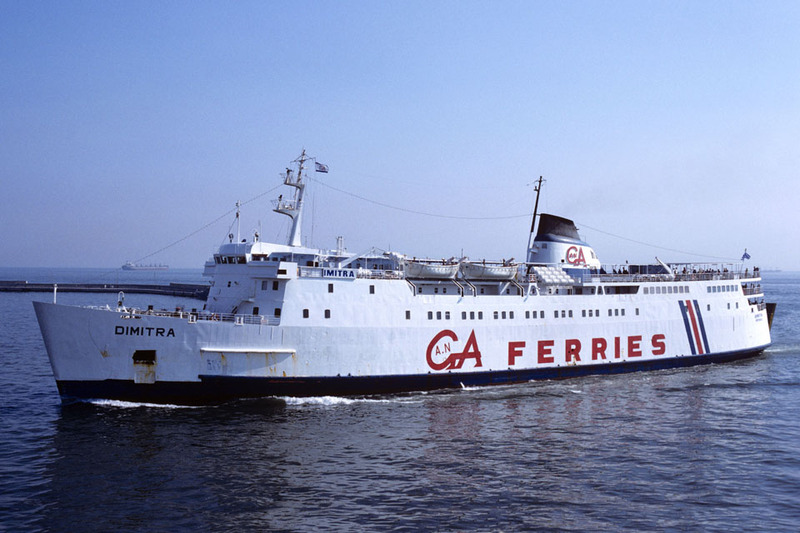 Eventually resumed Weymouth – Cherbourg service. 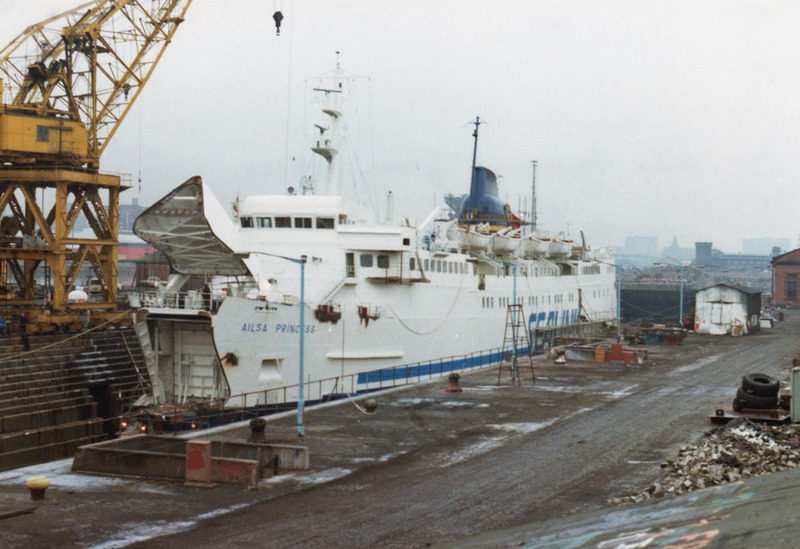 March 16th 1987: Dry-docked and overhauled at Immingham by Humber Ship Repairers. 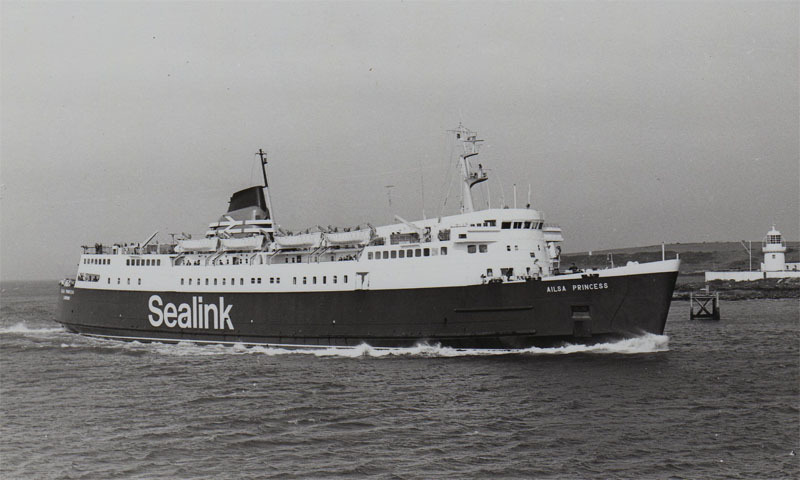 Reverted to Sealink British Ferries livery. 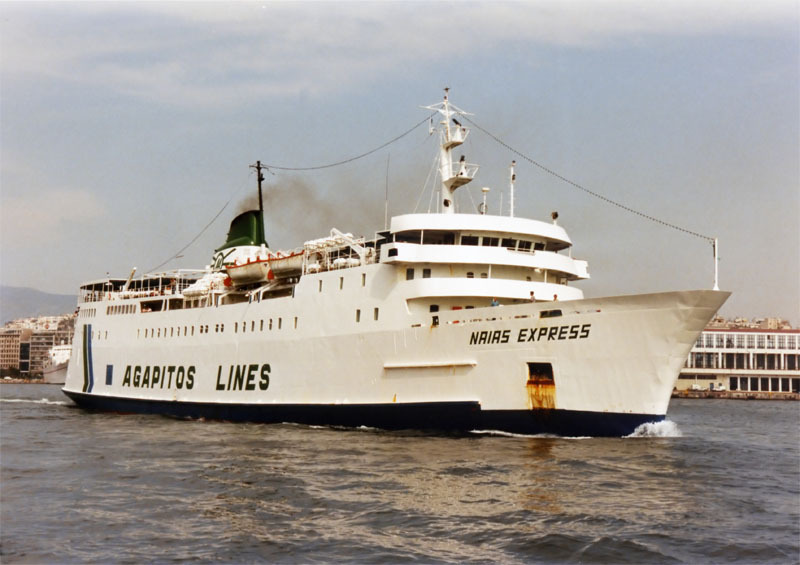 April 2nd 1987: Departed Humber. 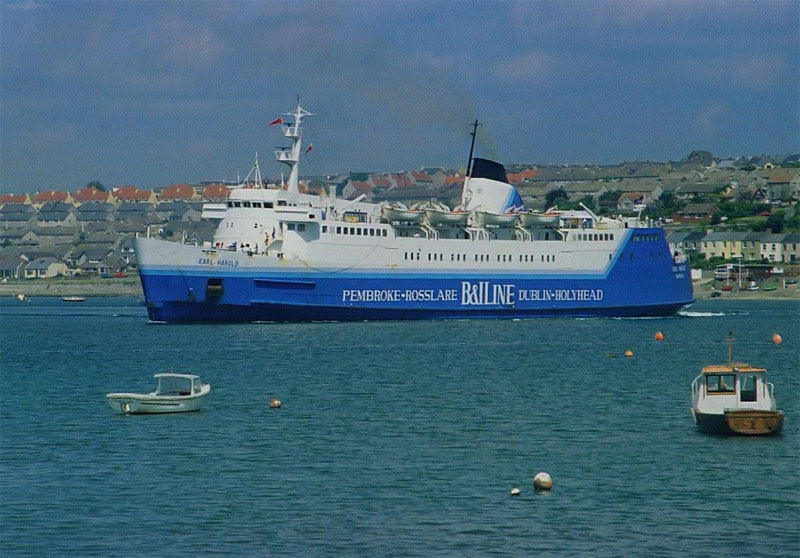 Resumed Weymouth – Cherbourg. 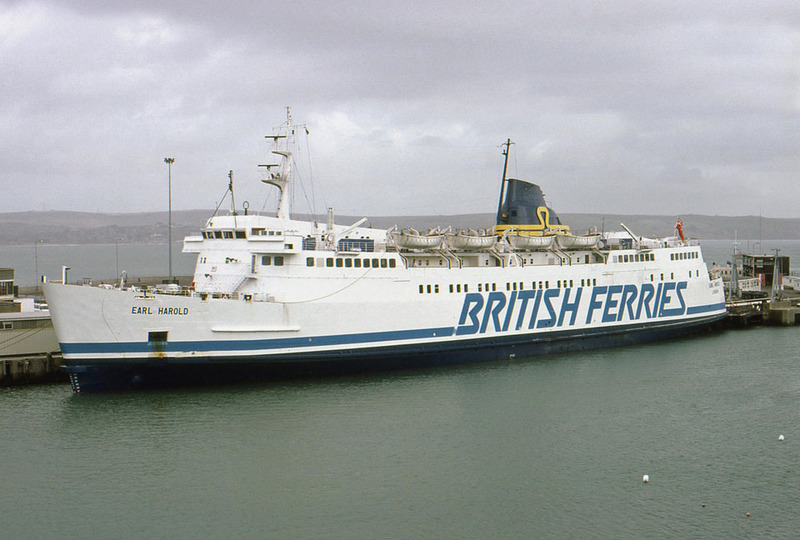 February 11th 1988: Covered Holyhead – Dun Laoghaire for three days , then relief duties Stranraer – Larne until end of March, whereupon returned Weymouth – Cherbourg. 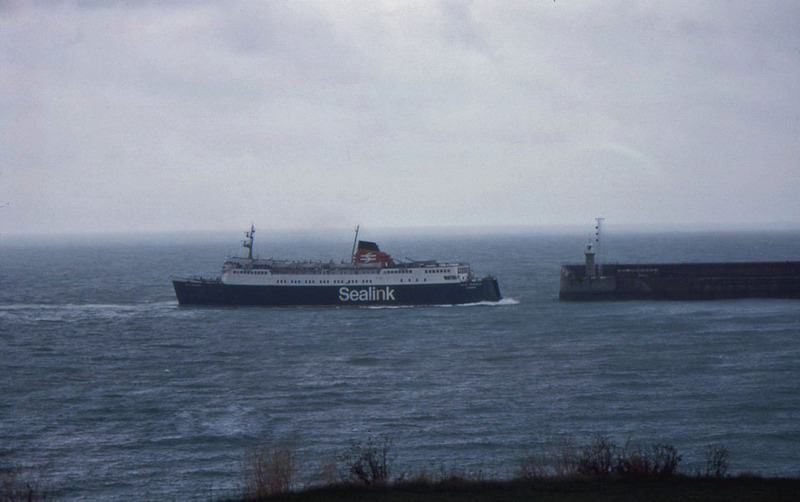 October 1988: Speculation vessel to be used as a stop-gap to open a Southampton – Cherbourg freight service, but also saw her back at Fishguard. 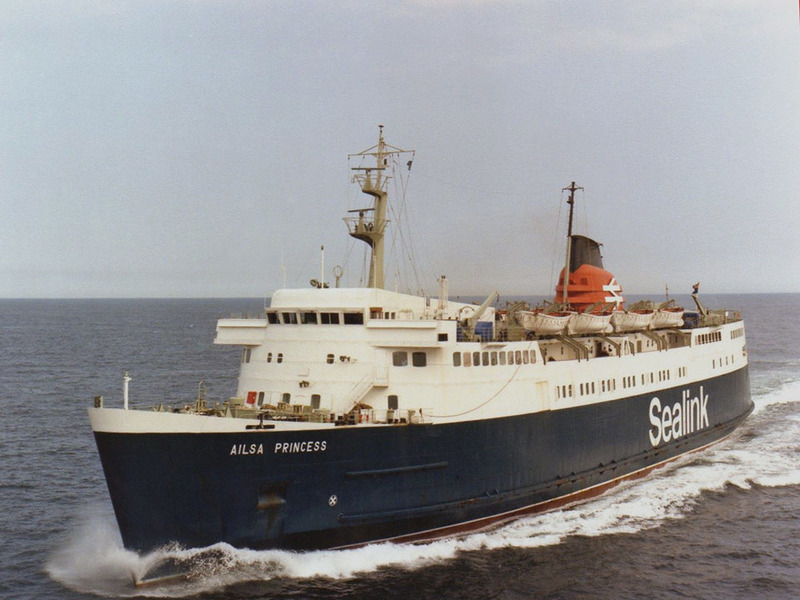 November 1988: Saw her again in the Dover Straits. 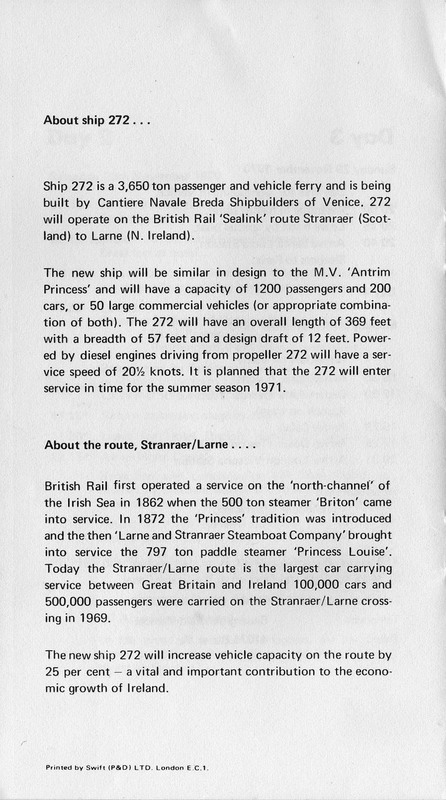 December 1988: Stranraer – Larne. 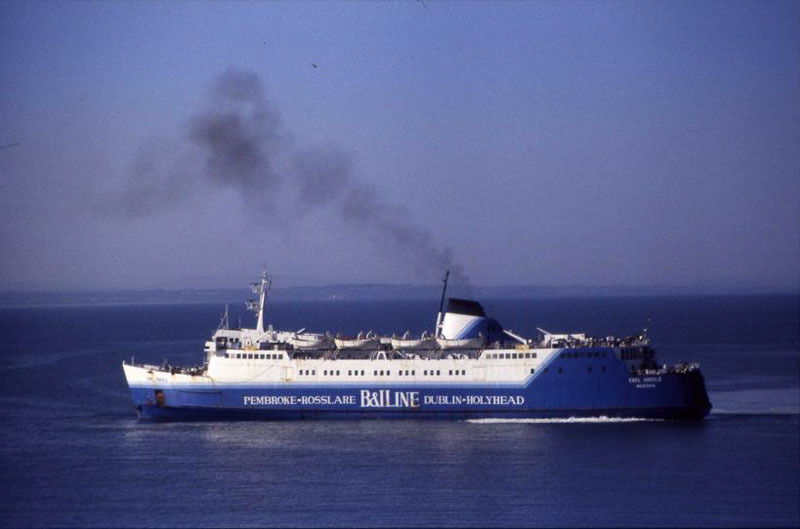 April 1989: Chartered to B&I Line, and introduced between Pembroke Dock – Rosslare. 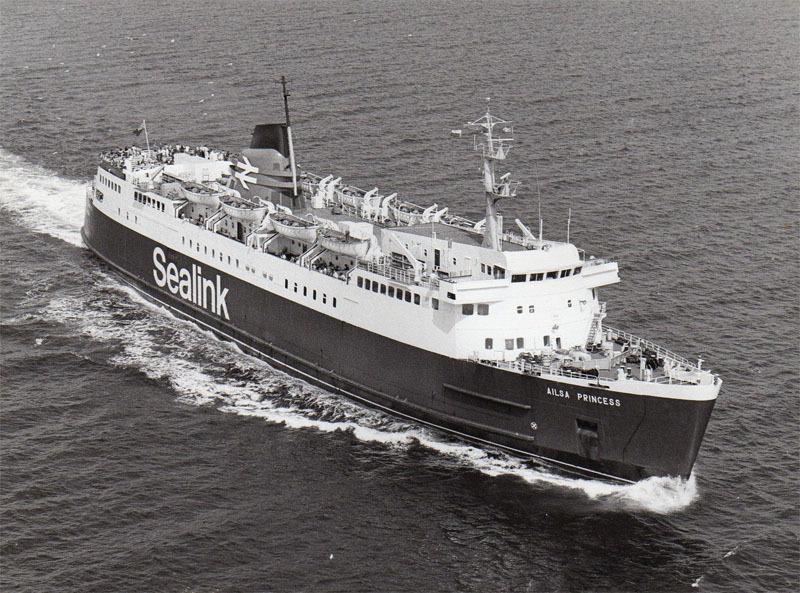 She was re-registered under the Bahamas flag, home port being Nassau. 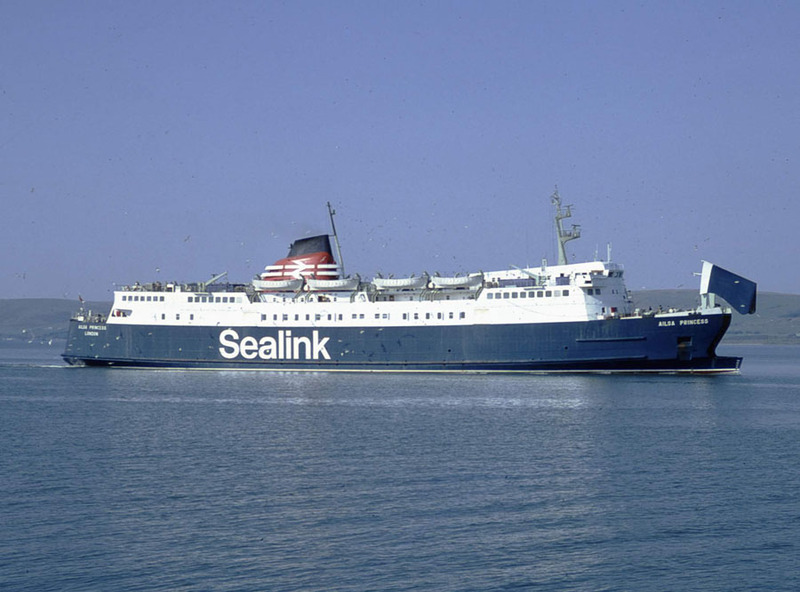 October 28th 1989 (12.00 hrs): Re-delivered to Sealink at Falmouth. 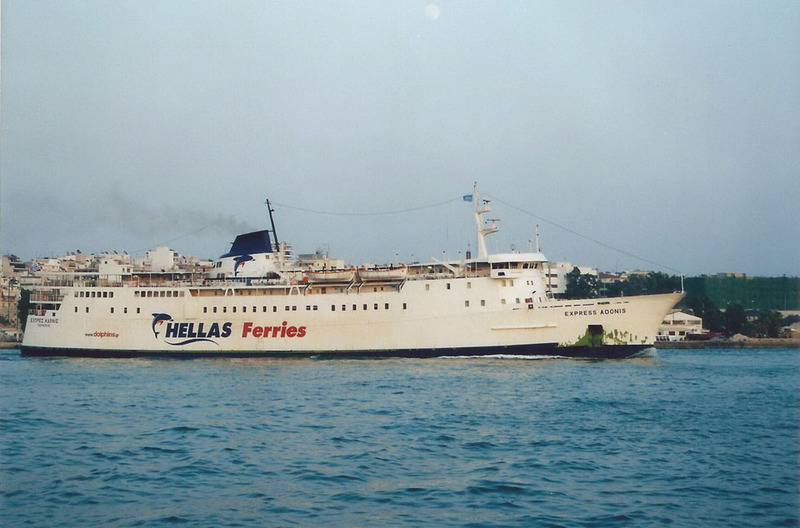 November 14th 1989: Sold to Aktoploika Maritime, Piraeus, Greece. 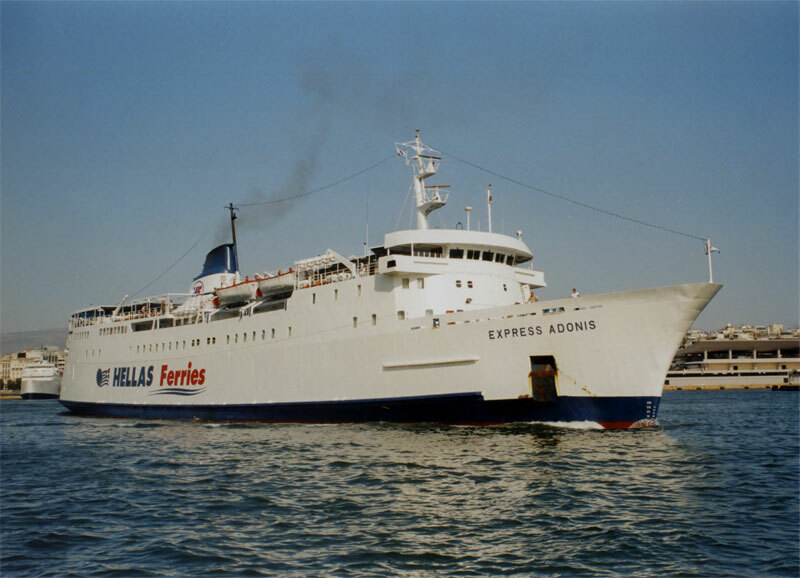 December 2nd 1989: Left Falmouth for Greece, renamed DIMITRA. 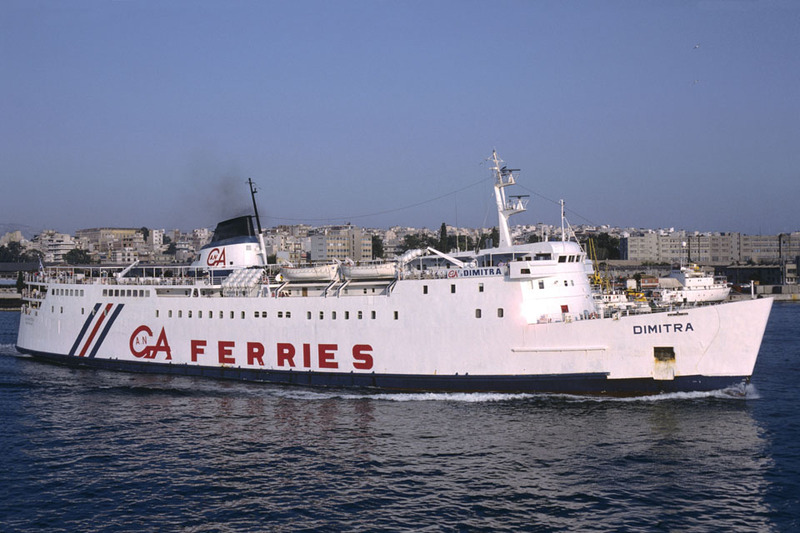 1990: Received various new additions to her superstructure and was used by GA Ferries for various routes including Piraeus – Syros – Tinos – Mykonos – Paros – Naxos – Amorgos – Astypalea – Ikaria – Samos. 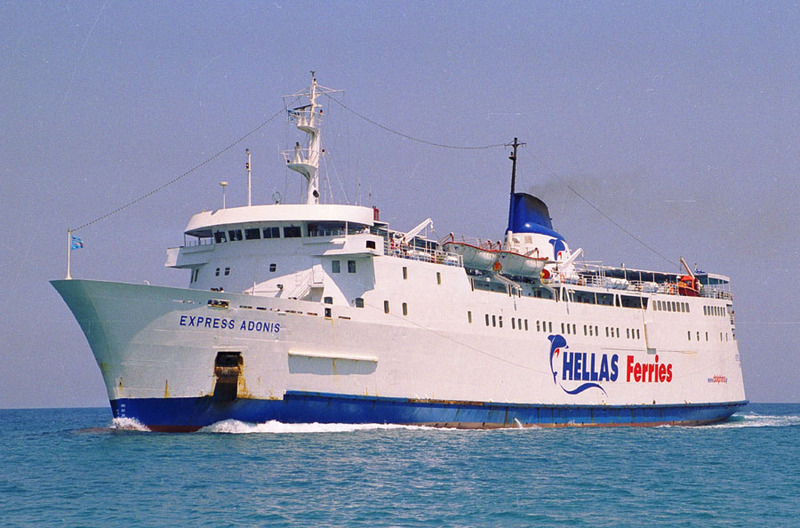 November 1994: Sold to Agapitos Line, Piraeus, Greece and renamed NAIAS EXPRESS then operating between Piraeus – Syros – Tinos – Mykonos – Paros – Naxos – Heraklia – Schinoussa – Koufonissia. 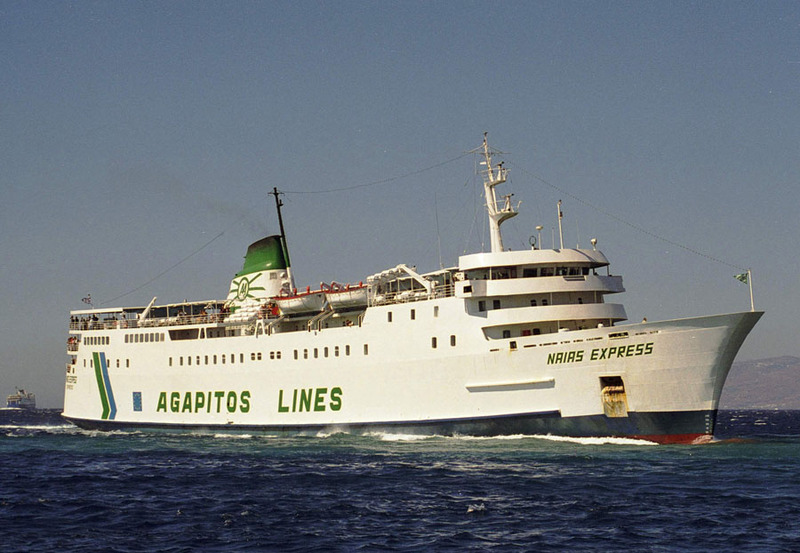 2000: Agapitos Line taken over by Minoan Flying Dolphins, Piraeus, Greece and this time she was renamed EXPRESS ADONIS. 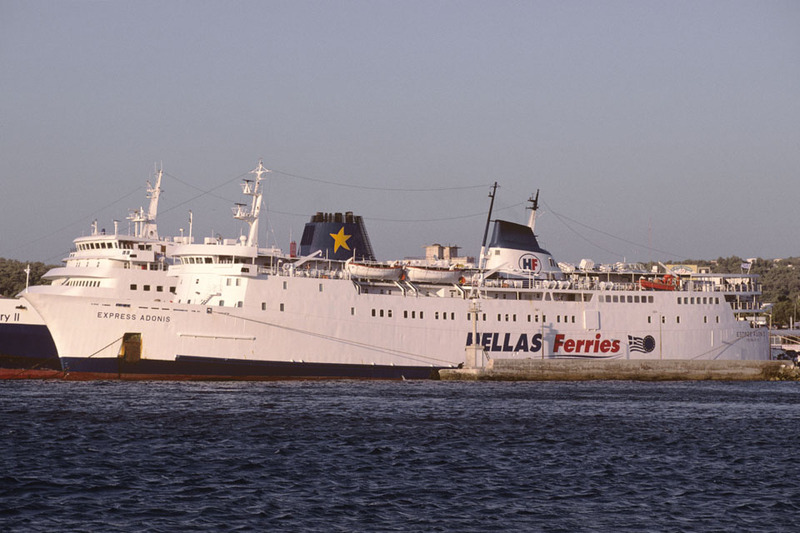 2005: Laid up in Piraeus, pending sale. 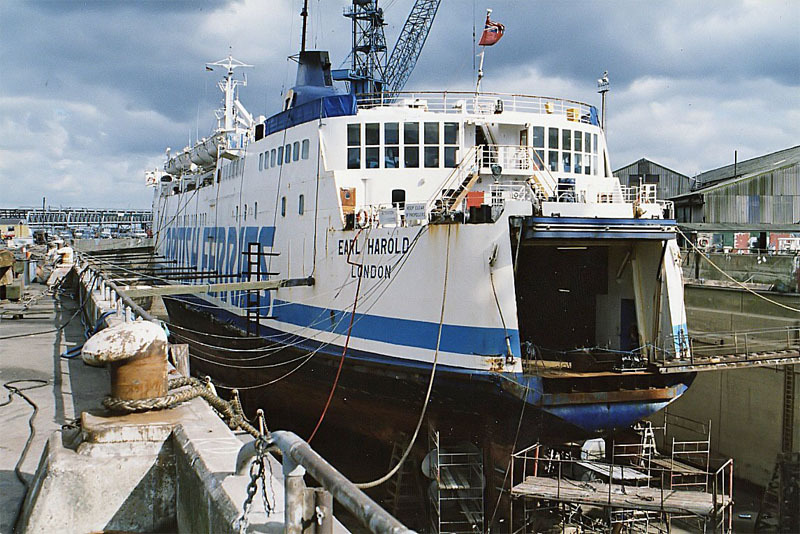 October 28th 2005: Being stripped, awaiting disposal. December 2005: Sold to GUPTA G, 6090, Strathmoor Drive, Rockford Il USA. January 21st 2006: Renamed NEW CARIBBEAN PRINCESS (Panamanian flag). 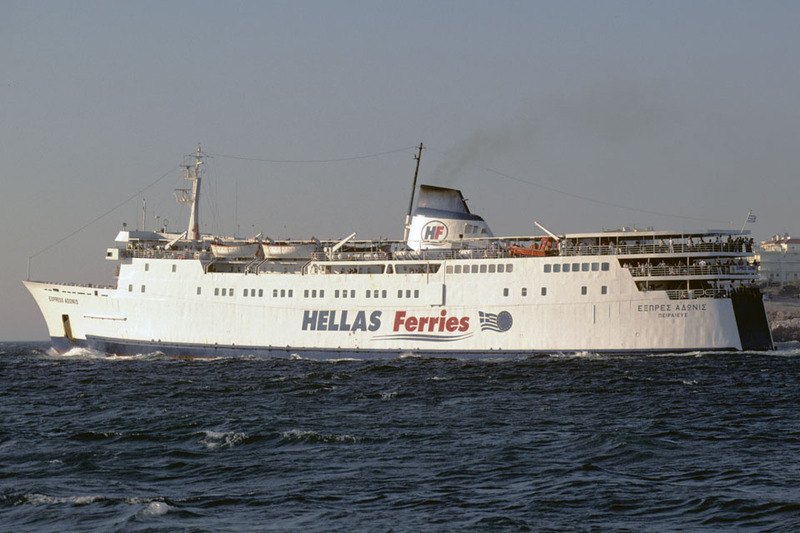 February 2006: Towed to Drapetsona. 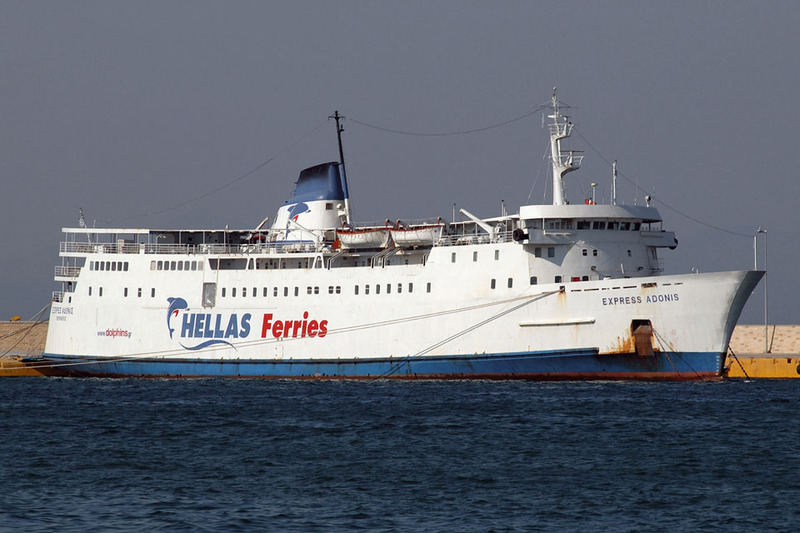 July 16th 2006: Left Greece destination Mumbai. 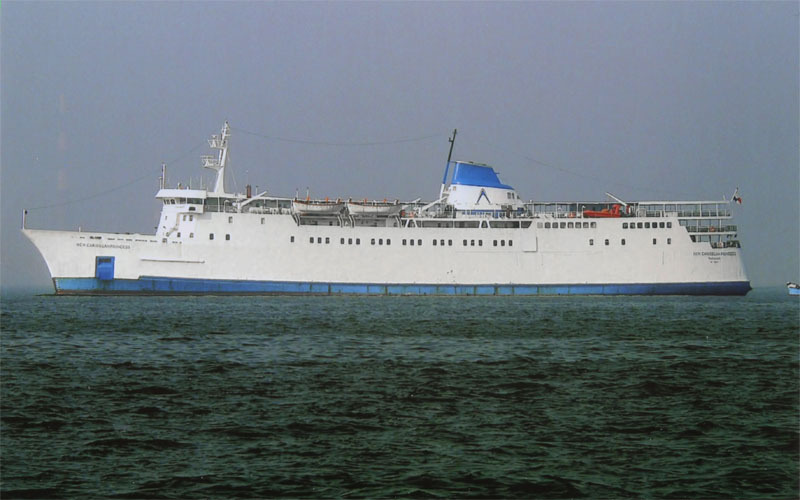 April 2010: Reportedly sold for scrapping at Alang. All information is believed to be correct and no responsibility is accepted for any errors or omissions. All items included in this article are subject to © copyright. We would like to take this opportunity of thanking: Kevin Atkinson, Terry Conybeare, Aubrey Dale, Carsten Dettmer, Brian Fisher, Tony Garner, George Gbidis, Alan Geddes, Ton Grootenboer, Frank Heine, Ken Larwood, William MacDonald, Christophe Podlucky, Robert Turkington and Andreas Wörteler for their assistance in producing this feature. 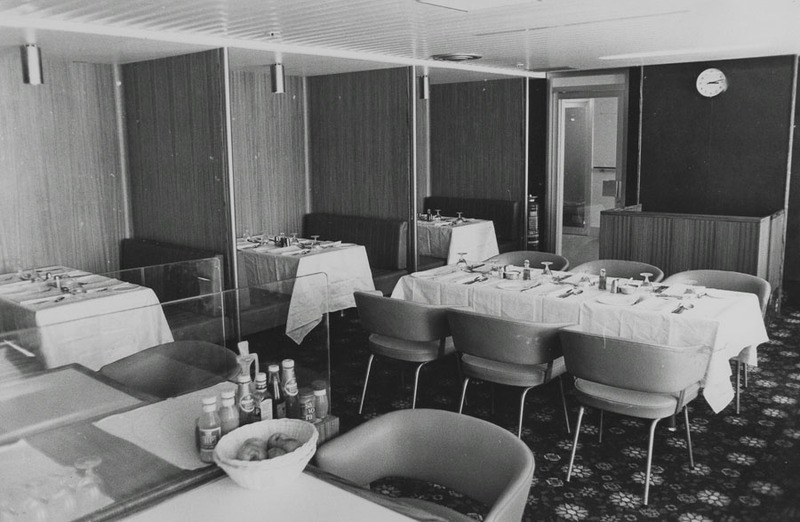 Your page on Ailsa Princess says that her accommodation was extended during her 1982 overhaul. 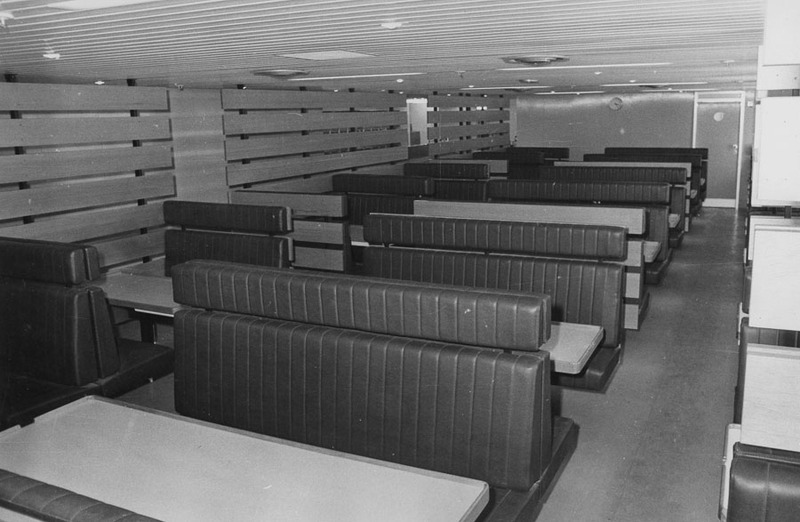 I have photos taken at Stranraer in August 1981 which show that this work had already taken place, but I would not like to suggest when. (See https://flic.kr/p/QiGK4L) The extended horizontal BR double arrow bars are still present at this time. 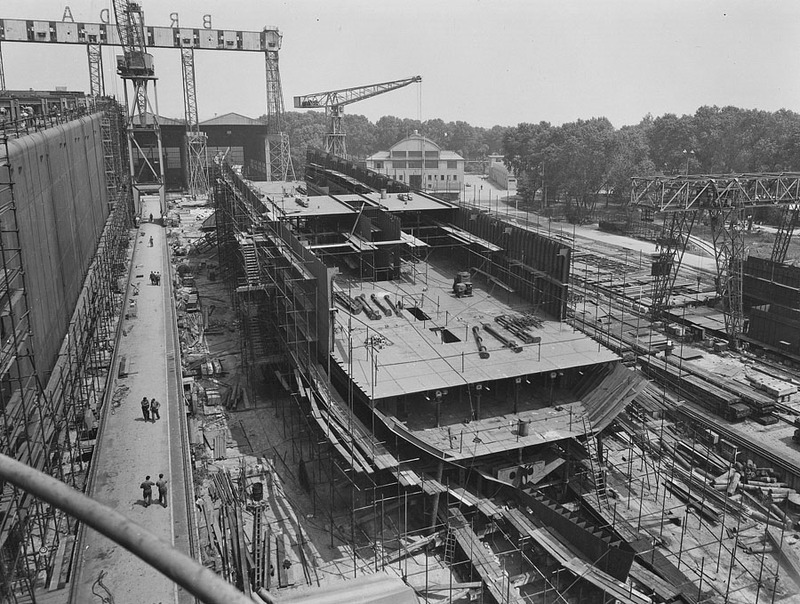 The glaring omission was that she was extended externally in 1975 and then in 1982 her internal accommodation was altered. Thanks for pointing that out. As I always say “These features are ongoing” and all info’ and comments are welcome. 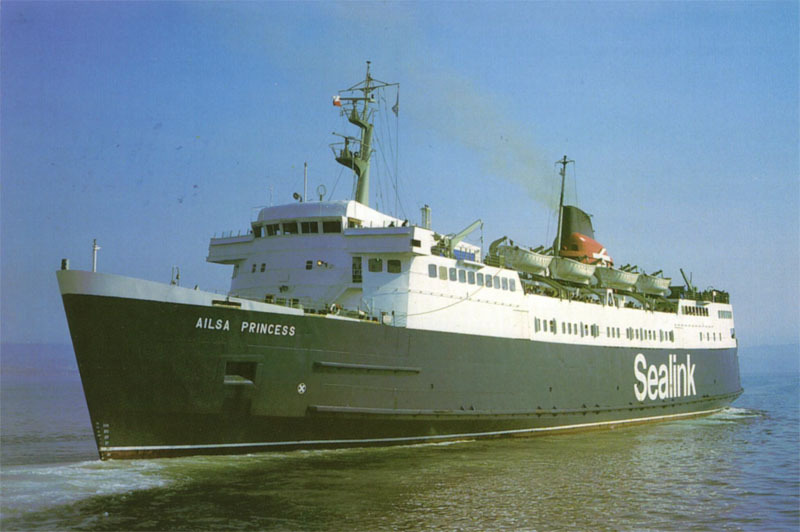 Hi, nothing appears anywhere on line about the on board caravan fire as Ailsa Princess approached Cherbourg in the summer of 1982. 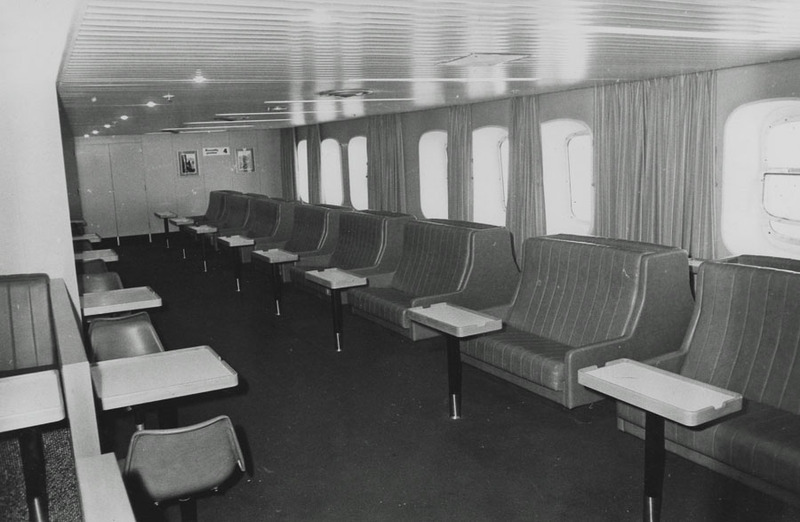 We were on board making our way to a two week holiday in Normandy, I must have been about 11 or 12 at the time. 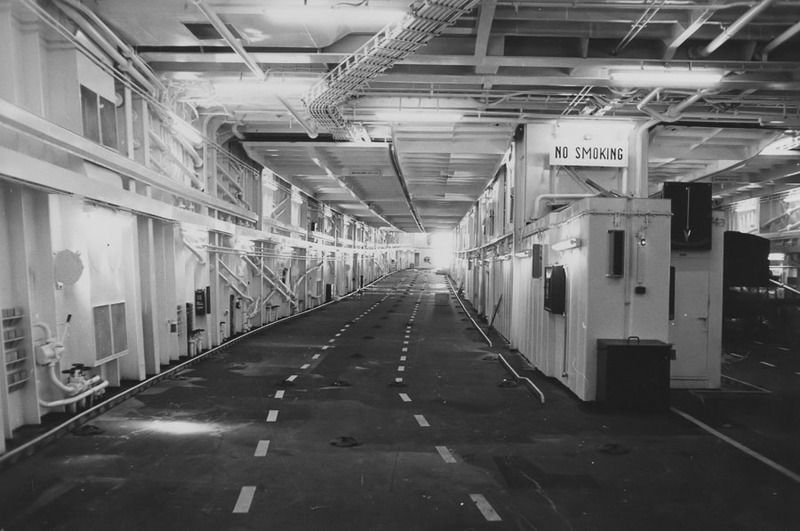 As we queued to return to the car down a narrow flight of stairs, the doors to the car deck were opened and we were greeted by smoke. 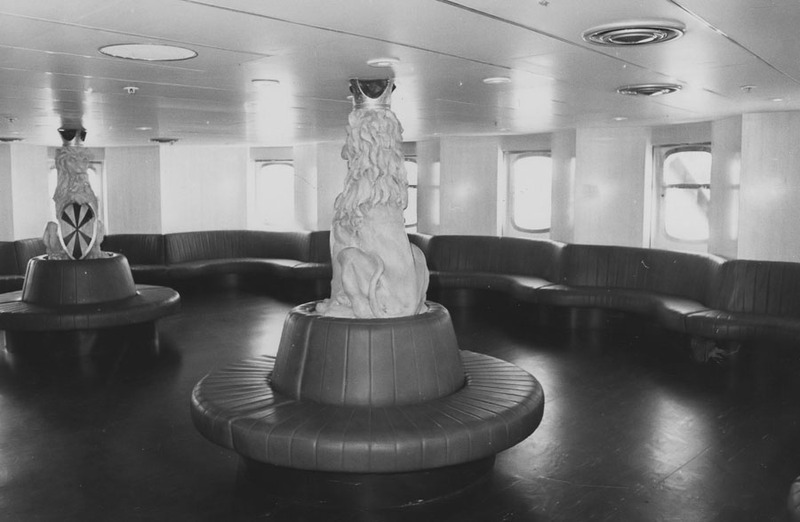 A caravan towed by a Ford Cortina Estate was well alight on the car deck and we had to make our way to the outside decks. 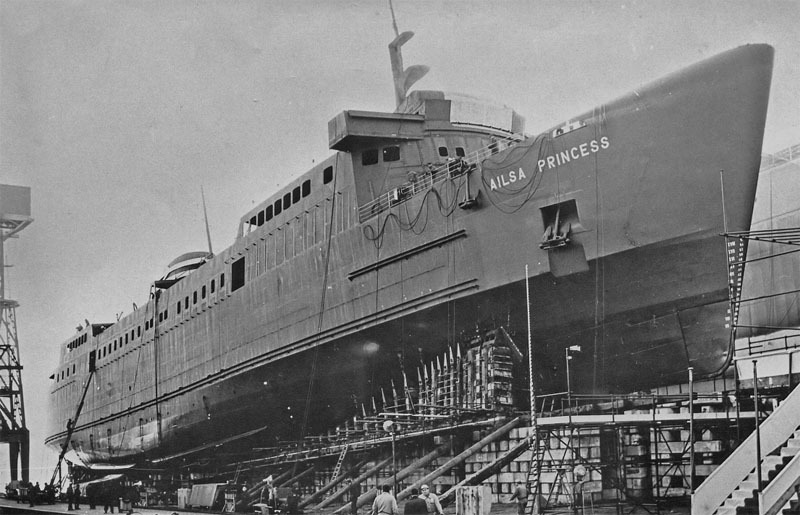 I remember the announcements over the tannoy – nobody could hear them; luckily, Ailsa Princess docked at Cherbourg and we were all evacuated. 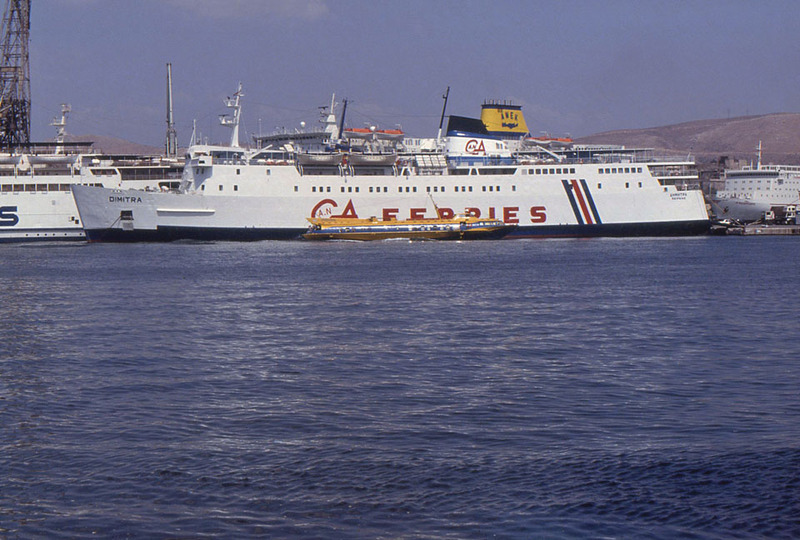 As we waited on the dockside, the French fire service turned up at the wrong berth. We eventually made our campsite in Granville many hours later; my parents Renault 18 smelling of smoke and our clothes in the luggage all needing laundering. I did have a photograph of the offending caravan taken by my sister, as it was towed out: a mass of melted plastic or fibreglass over what remained of the metal chassis, and the back end of the Cortina fire damaged, but I don’t know where it is now.